And then, post the results online so it can be easily referenced in the future. Note: Also, use it as another excuse to go fishing more! In answering the question posed at the beginning of this article, the first step was to "Go Fishing". Sounds simple but where does one go to fish for Rainbow Trout in Texas? Since Rainbow Trout prefer cold water and Texas gets really hot at times, what is the likelihood that fish can be caught in the state? Luckily, the winter months provide conditions that support stocking of Rainbow Trout. Each year the Texas Parks and Wildlife Department (TPWD) stocks Rainbow Trout throughout the state. Most of the locations stocked are community lakes and ponds but there are several rivers that receive stockings as well. For more information on stocking locations and schedules, check out the Rainbow Trout Stocking Schedule posted by TPWD. Given this information, from 2009 to 2013, our fishing club - COAF Field Team, went fishing! 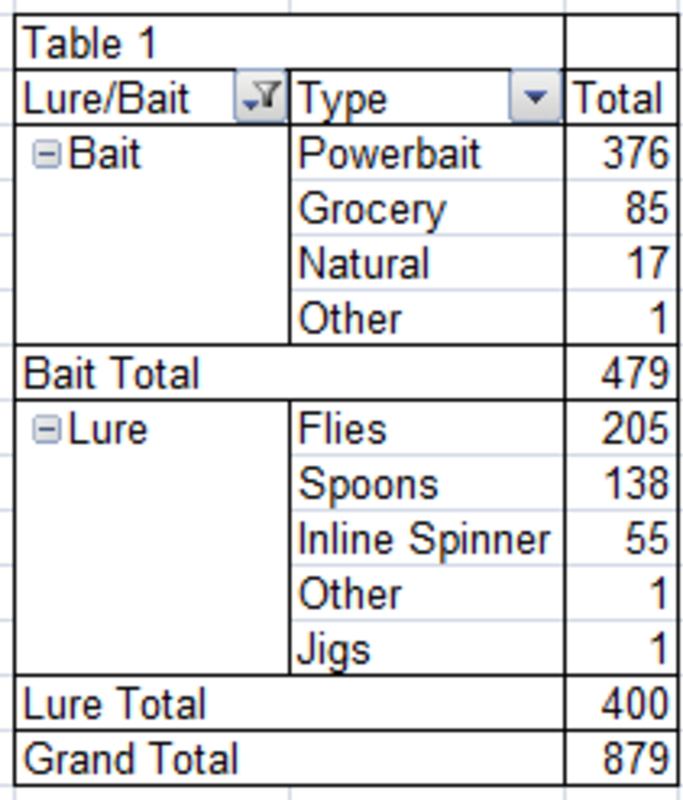 As the Team fished, we collected data on lures and baits used for a given fishing trip. Additionally, reports submitted by other fishermen in the area were incorporated into the database being created. Additional information was collected; however, as we reviewed the information, we focused efforts on identifying trends in lures and baits and removing data outliers which included low sample sizes for a given lure or bait. 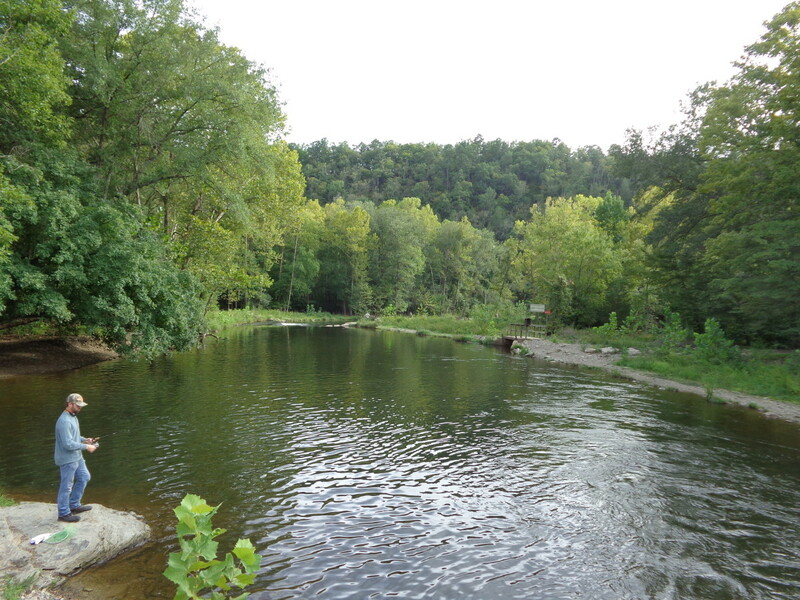 In the sidebar is an example of the results for the 2011-2012 Trout Stocking Season. For this article, we intend to review the information collected from 2009-2013. The following sections below briefly summarize key points from trends identified in the review. 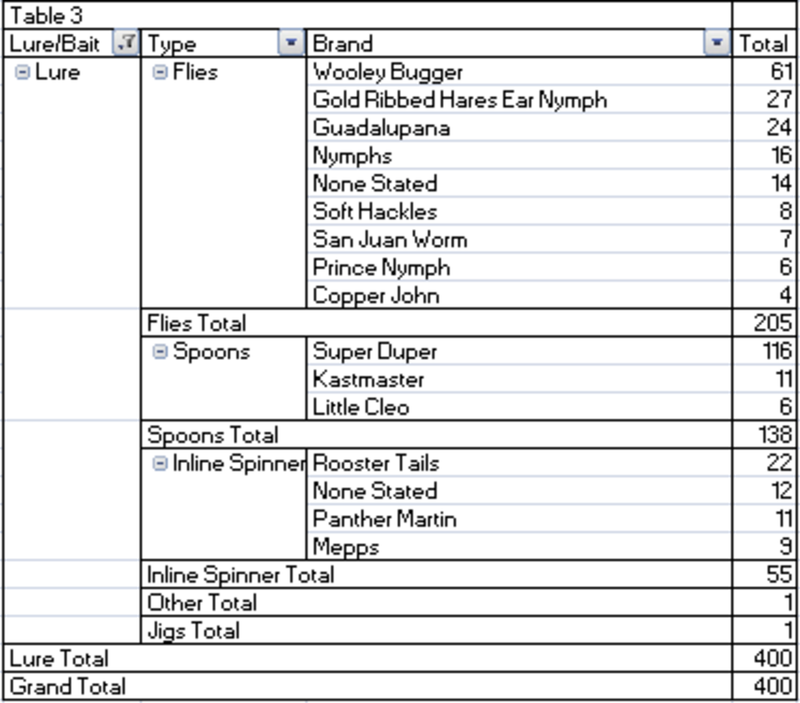 879 records were loaded in the database (see Table 1 in the sidebar). 479 records showed bait was used primarily when fishing for Rainbow Trout. The remaining records showed lures were used instead. 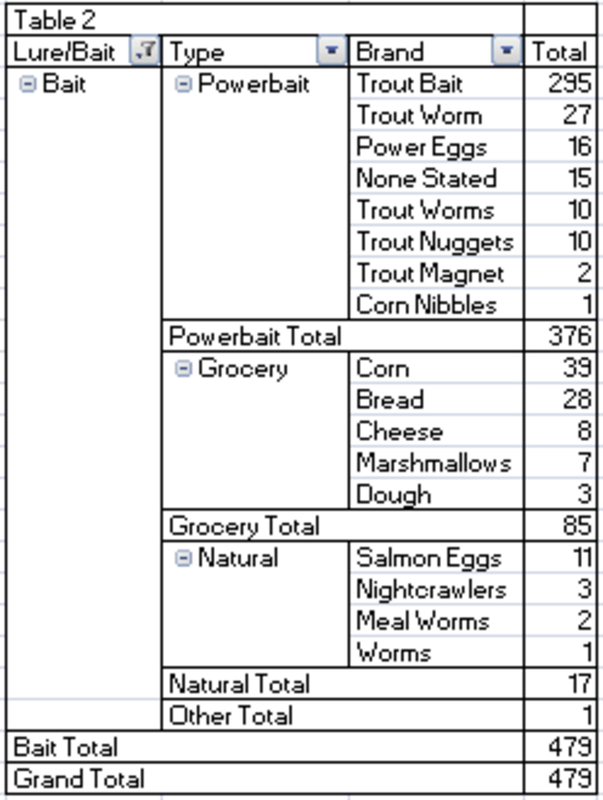 For Bait, PowerBait was used 78% of the time, and Grocery and Natural Baits were used 18% and 4%, respectively. 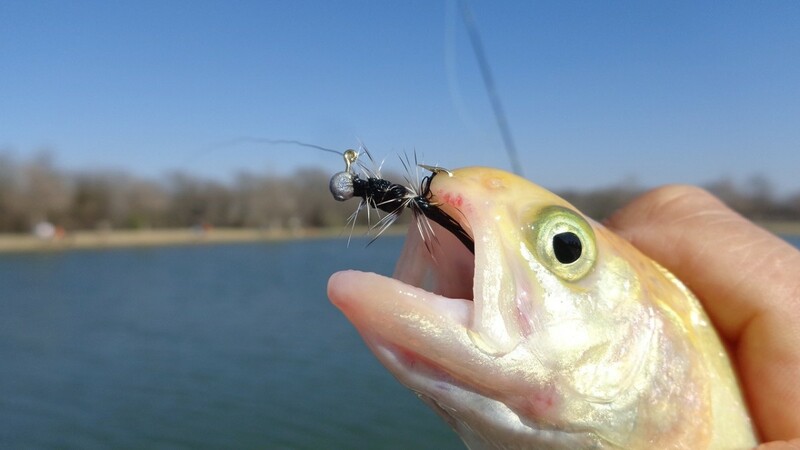 For Lures, Flies (Fishing Flies) were used 51% of the time, and Spoons and Inline Spinners were used 35% and 14%, respectively. Although there was bias in the sample as the Team preferred to use fly fishing gear and fishing flies when using lures and PowerBait when using bait, the observation does provide evidence that these lures and baits are effective for Rainbow Trout. More important were the results illustrated in Tables 2, 2.a, and 3 which provide clear trends in specific lures and baits used during the reporting period. 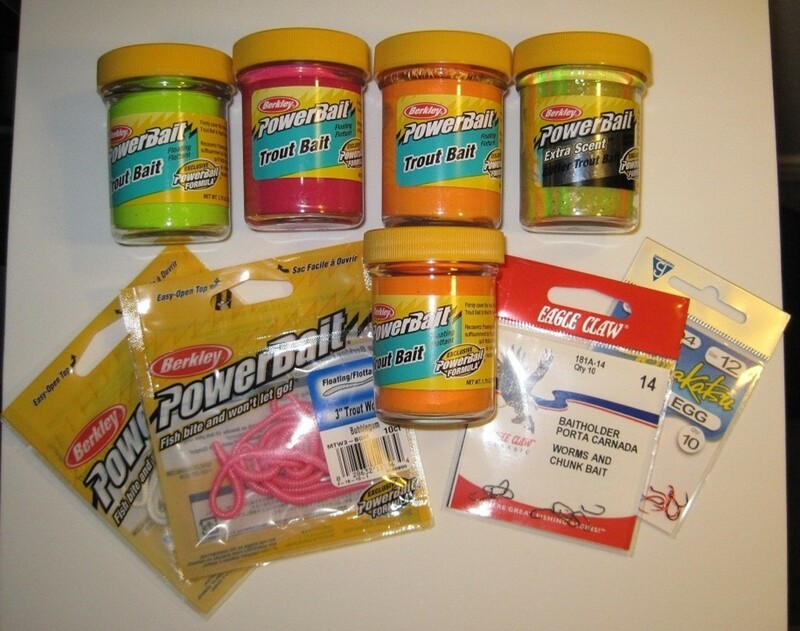 When using PowerBait, Trout Bait (dough bait that is molded around the hook) was used successfully 295 times; the next PowerBait was the Trout Worm which was used 27 times. When using Grocery Baits, Corn (46%) and Bread (33%) were the front runners compared to others in the group. 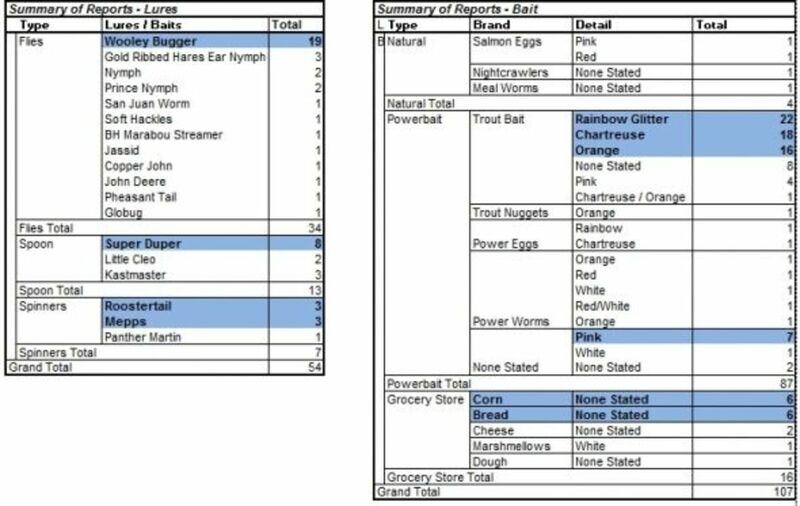 When using Natural Baits, although the sample size was small at 17 records, Salmon Eggs seemed to be the leader in the group. When using Trout Bait, Orange (27%), Chartreuse (26%), and Rainbow Glitter (24%) were the top three colors of choice for this brand. When using Trout Worms, Pink was used 19 times successfully compared to Orange and White which were used five and three times, respectively. For Power Eggs (used 16 times), there was not a clear trend observed in the data. 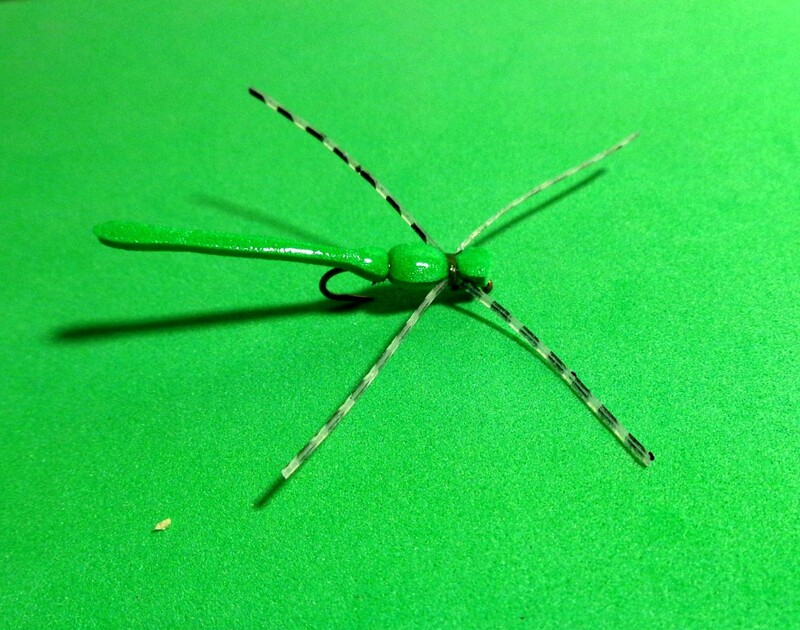 When using Flies (Fishing Flies), the Wooley Bugger (30%) outpaced the next two fishing flies - the Gold Ribbed Hares Ear Nymph (13%) and the Guadalupana (12%). When using Spoons, the Super Duper was the leader of the group at 84%. And, when using Inline Spinners, the Rooster Tail was the front runner at 42%. 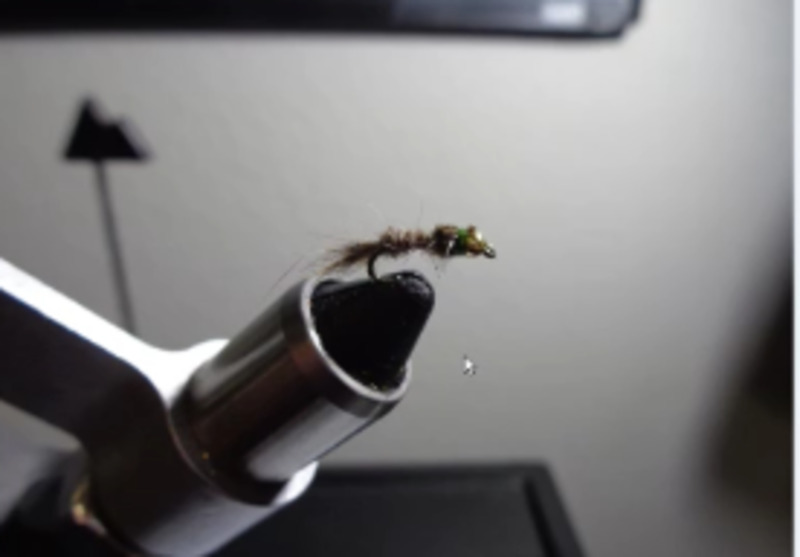 Wooley Buggers, Gold Ribbed Hares Ear Nymphs, and Guadalupanas were the top three fishing flies used to catch Rainbow Trout. Rooster Tails were also a consistent producer of Trout over the reporting period for Inline Spinners. Trout Bait was the bait of choice in the PowerBait group with Orange, Chartreuse, and Rainbow Glitter reported as the top three colors. Corn and Bread did well for the Grocery baits. Although the sample size was small, Salmon Eggs appear to be the leader in the group of Natural baits. When fly fishing, be sure to keep Wooley Buggers, Gold Ribbed Hares Ear Nymphs, and Guadalupanas in your fly box. When using Spoons, stock your tackle box with Super Dupers. For starters, would buy the three basic colors offered - Gold, Silver, and Copper. When using Inline Spinners, stock your tackle box with Rooster Tails; would start with three basic colors - Chartreuse, Orange, and White. When using Trout Bait would ensure Orange, Chartreuse, and/or Rainbow Glitter were on hand. Interestingly, the Rainbow Glitter contains both orange and chartreuse. If given one choice, would recommend Rainbow Glitter. 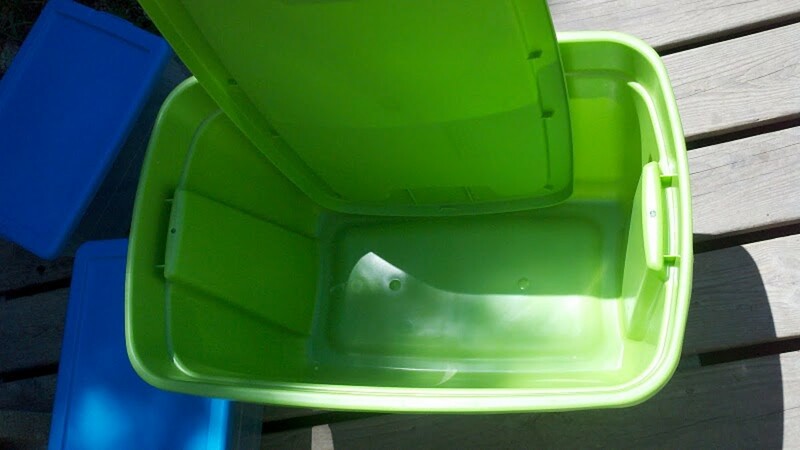 In addition to Trout Bait, would have a can of Corn, a loaf of Bread, and a jar of Salmon Eggs readily available in case the Trout opt for them over other baits and lures. General Rule: Continue to stock up on the lures and baits noted in the Summary of Results Then, be ready to switch once a pattern is established for the area you are fishing. Finally, we close out the article by publishing it online, making it available to Readers for future reference. It is our hope that the Question - "What are suggested lures and baits that catch Rainbow Trout in Texas" was answered, and that Readers find the information helpful when fishing for Rainbow Trout! It would be interesting to know which color Super Duper was preferred when fishing for Rainbow Trout. And, similar to the Super Duper, the color preference for Rooster Tails would be of interest as well. 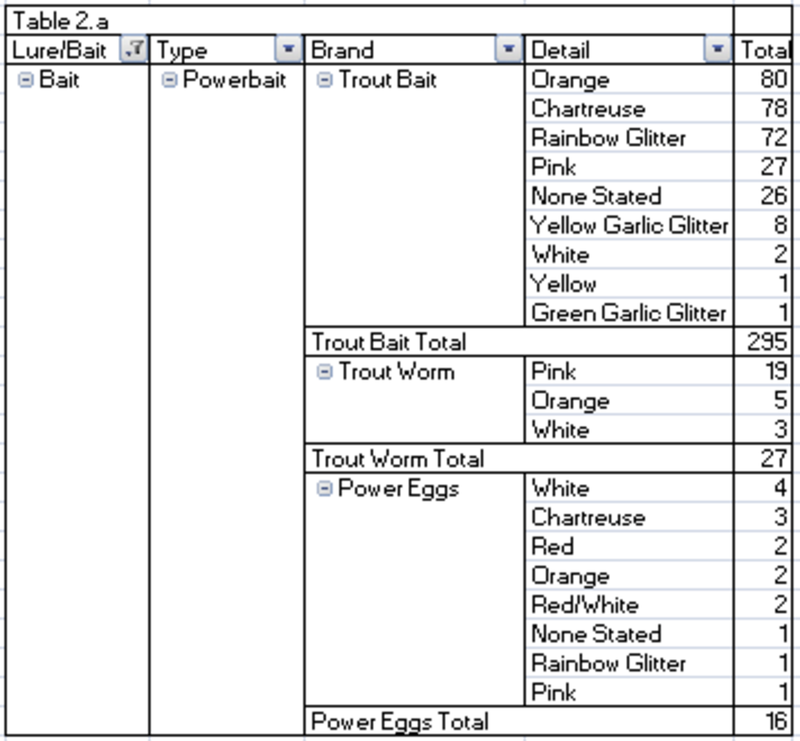 For PowerBait Power Eggs, since the data was limited, it would aslo be interesting to know which color was preferred for Rainbow Trout. We anticipate it would be similar to the results for Trout Bait - Orange, Chartreuse, and Rainbow. Till we meet online again... Good Luck and Good Fishing! What color Super Duper do you use most often when fishing for Rainbow Trout? What color Rooster Tail do you use most often when fishing for Rainbow Trout? What color Power Eggs do you use most often when fishing for Rainbow Trout? 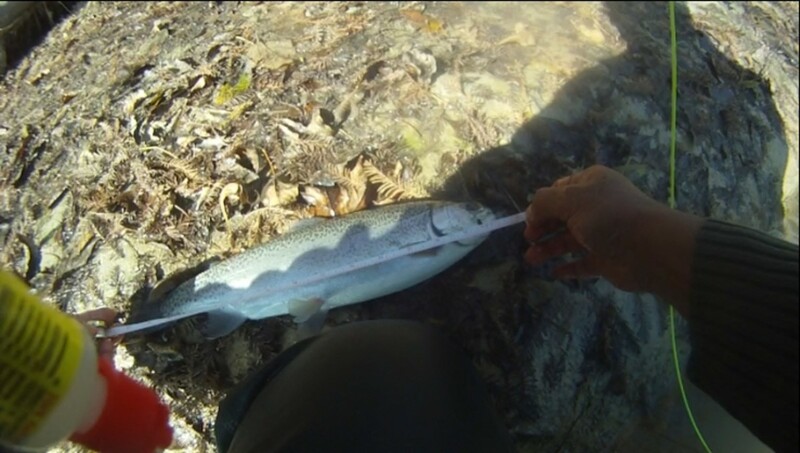 16" Rainbow Trout caught at the Guadalupe River using a Prince Nymph fishing fly! Although not listed in the study, recently we have been seeing good success with a variant fishing fly... it's more like a jig fly and tied similar to a Wooley Bugger. Locally it is called a Near Deere. Do give it a try! 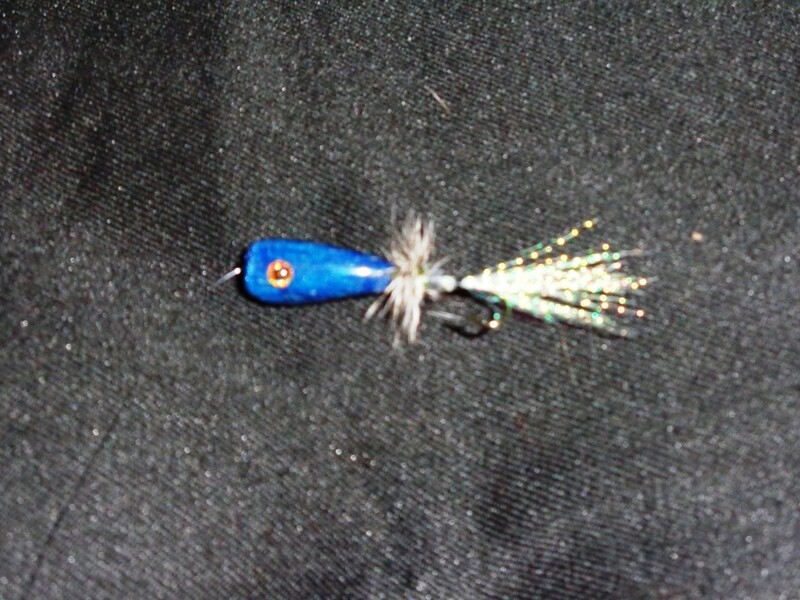 For more on the Near Deere, check out HubPages Article, "Three Suggested Fishing Flies for Rainbow Trout". Hope our Reader enjoy this article. It is the culmination of a field study conducted by our fishing club. We hope it helps others catch Rainbow Trout in their area!